Whether you’re preparing a meal for your family in our apartments in Chicago or making food for your own enjoyment, using the right knife for the job at hand is important. Your knife toolkit should include these essential blades, which will ensure you’re able to create every dish with accuracy. The paring knife is the shortest knife on this list. Standard paring knives usually measure between 2.5 and 4 inches in length. Their short, sturdy body makes paring knives perfect for peeling fruits and vegetables, making small cuts, deveining shrimp, coring tomatoes and trimming. The bread knife has teeth with serrated edges, making it ideal for sawing through bread. It is also effective for making long slices through tomatoes without crushing this delicate fruit. 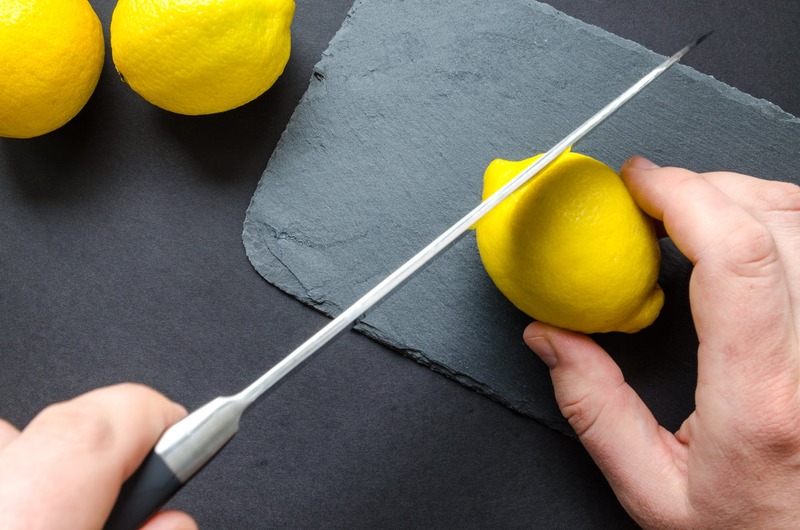 This all-purpose duty knife is the most important tool in your kitchen. The chef’s knife typically has a wide blade, leaving plenty of space between the handle and the work surface. It is generally heavier in weight than other knives, making it perfect for crushing garlic and chopping vegetables and fruits. You can use a chef’s knife to chop, dice, mince or slice. Sizes of chef’s knives vary from between 8 to 10 inches. The cleaver is a short-handled knife with the broadest blade that you will find in kitchen knives. It is heavy and large, and it is typically used to chop meat. Its sturdiness also enables it to easily chop through bones. The fillet knife has a thin, narrow blade, making it the perfect solution to filleting fish. You can also use this to cut thin slices of tender meat. Use a boning knife to remove bones from meat when you want to preserve the shape and structure of the meat. Boning knives have very narrow blades, which are sometimes curved. The curvature of the blade helps the cook to follow the curvature of the bone structure in the meat. Be sure to outfit your kitchen with these essential knives, which will provide you with the right tool for every food-prep job. To see the high-quality kitchens in our Chicago apartments, contact us today!